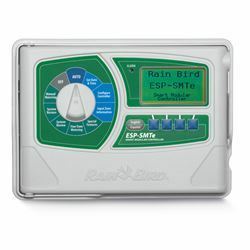 The popular Rain Bird ESP-LXME-12-Station Sprinkler Controller has been enhanced to provide additional features and station capacity. The ESP-LXME Enhanced Controller offers flow sensing and management with modular station capacity from 8 to 48 stations. Station modules are available in 4-, 8- and 12-station models. The Rain Bird ESP-LXME-12-Station Sprinkler Controller utilizes the Rain Bird Extra-Simple Programming (ESP) user interface. 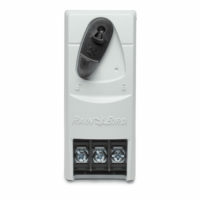 The dial, switches, and buttons interface which Rain Bird first introduced in the early 1990’s is easy to learn http://www.sierrairrigation.com/wordpress/wp-admin/post.php?post=8262&action=edit&message=1 and use and has become a standard controller interface for the irrigation industry. 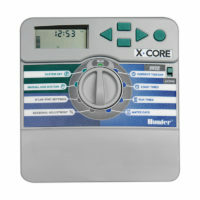 The large LCD display incorporates soft key text labels for the button functions rather than dedicated buttons. Multiple language support allows the end-user or maintenance personnel to interface with the controller in their primary language. User selectable languages include English, Spanish, French, German, Italian, and Portuguese. Date, time, and unit formats are also user configurable. 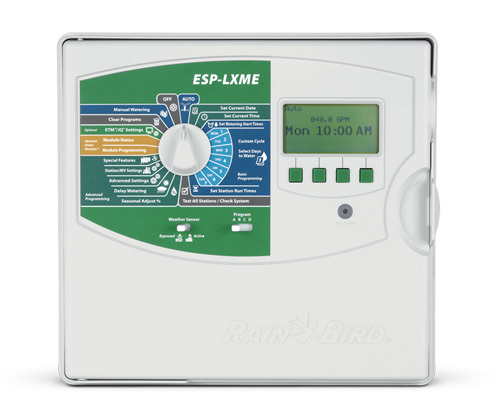 The ESP-LXME Controller utilizes the Rain Bird® ESP Extra Simple Programming user interface. 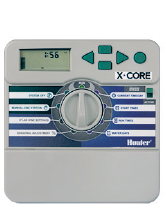 The dial, switches and buttons interface which Rain Bird first introduced in the 1980s is easy to learn and use and has become a standard controller interface for the irrigation industry. 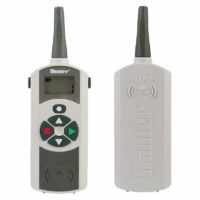 The large LCD display incorporates softkey text labels for the button functions rather than dedicated buttons. Multiple language support allows the end-user or maintenance personnel to interface with the controller in their primary language. User selectable languages include English, Spanish, French, German, Italian and Portuguese. Date, time and unit formats are also user configurable.